Wes: Hello to my new friend Mariara. How are you doing on this wonderful night dear soul? I wish to thank you for contacting me directly in my dreamscape, which is honestly an event that I am still soaking in. What was the purpose of this direct contact? Mariara: Hello dear Wesley! How excited I am for you to communicate with me publicly. Of course we have been in communication steadily since the direct contact, and if you had the outward perspective that we do and were able to go back and look at your history, specifically the ‘times’ of Atlantis and before, you would remember me as a close friend and ally. I have spent numerous incarnations with you on Earth, as you know that this is not your first ascension process on this world. Wes: So are you saying that I’m correct in feeling that I have already ascended once on this world, and come back for the planetary end times? Mariara: Precisely dear soul. It is not just you however; many who have ascended even recently have chosen to come back and hold the Light for those who have yet to awaken but will do so when the right ‘time’ approaches. Many, nearly all of your friends are such souls who have already ascended. A few of them are walking upon your Earth in an ascended expression of self, though they are able to cleverly disguise themselves and seem as one who is unawakened. We dearly wish you could see just how many souls are awakened on your world but seem like regular and ordinary people. If you truly knew it would astound you. Many of the souls whom you label ‘strangers’ that you see throughout your day are themselves awakening to the Universal truths in their own ways. The Light and knowledge of ascension and spiritual-related matters is increasing in scope with every soul on your world, and even those who may have been entrenched in darkness and violence during their youths are awakening again in their own ways. You are all on a specific path, and for very many on your world that path is to lead to ascension. Even those who you perceive to never awaken will be given an equal opportunity to process the heavy densities that have kept them from exploring further their ascension paths. There will be many on your world who at present are unawakened, but who will with all the help we will be giving them, choose the ascension path and as such be able to catch up to the many of you who are beginning to feel as if you are going to ascend away any moment. For many of you, the Light in you is reaching record proportions and you are beginning to once again match the level of resonance you were inhabiting before your descent into the lower realms of Earth. You are evolving and ascending according to not only the Cosmic plan of the universe but along the individual paths of each and every one of you. Now, your evolution processes are beginning to merge with the Cosmic evolution process, and this merging is resulting in you not only absorbing massive amounts of Light in your body and spirit complexes, it is also naturally resulting in the opening up of higher dimensional abilities and attributes in so many of you. We know that you have been feeling your own increased awareness of and presence in the higher realms, and at times we are fully with you, along with your Guides when you are making your ventures in the higher astral realms of Earth and beyond. Many of you are beginning to feel us as outside entities, instead of just thought and emotion transmissions coming through your minds and hearts. You are feeling us and our own presence in the higher realms as your presence increases more and more in these same realms. We are growing closer and closer, and our bonds are strengthening to the proportions of Love that they were at before your descent. Wes: I can certainly feel what you speak of Mariara, thank you for your beautiful words. I feel I must ask again, why did you choose to personally contact me in my dream? Mariara: Well dear soul, we could feel on numerous occasions that you wanted a personal contact! Do you not remember all of the times you would see us, cloaked or otherwise, in your sky and your first thoughts would be ‘hey, come down here?’ Not only did we feel that you were beginning to be ready for such a personal contact, we decided to give you your request! I mean, why not dear soul? You have believed in us and kept faith that everything you are working toward is real and is producing real, Light-filled results, and your vibrations were and still are growing closer to us each day. We felt and still do feel (but only if you do) that you were not only ready for that initial first personal contact, but that in your dreamscape leading up to when we will be able to be with you, you should be granted further personal contacts. This does not just go for Wesley dear souls. If you truly feel and wish to have a personal contact with us, steer your thoughts, feelings and personal vibrations toward such an occurrence. 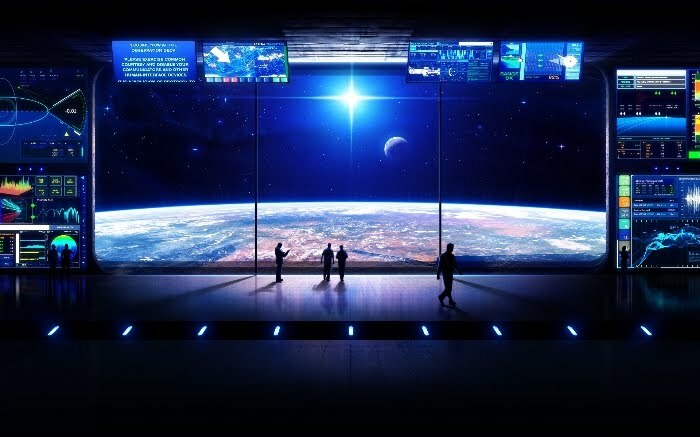 We must warn though, that even for the many of you who are beginning to feel increasingly comfortable with us and our presence, many of you while awakened are still in a place where you have not yet witnessed miracles such as a personal contact with your benevolent space family. Wes: I was going to point out friend, that even I was and still am a bit shell-shocked from the whole thing. I feel extremely comfortable with you having verified the Light inhabiting your energy, but the personal contact, while amazing, was pretty intense and pretty real. I would suggest that those of you out there who truly do feel like such an event is within your resonance, if you truly do feel like you are ready for such a game-changing event, then as Mariara said steer your vibrations toward such an event occurring and see what happens. It is a very amazing experience, but again it can be intense! Mariara: Ah dear Wesley, if only you could have seen the contact from our point of view! Yes, we do understand that such a miraculous event can be quite intense when one has for so long dealt with the lower vibrations, but we were all in Joy over the personal contact. Of course at a certain point you began to lose your lucidity in the dreamscape and began wandering around, but now here we are, communicating and re-establishing the bond that we not only built before the days of Atlantis, but that we rekindled with our personal contact. I will be waiting for you in the dreamscape from the clouds, and when I appear to you again, truly ask yourself if you wish for another personal contact. Remember how quickly the contact manifested after you thought in the dreamscape for us to come down? Your manifestation powers, especially in the dreamscape, are growing and this goes for all dear souls. Each and every one of you are now manifesting in increased speed what you are thinking and focusing on. Listen to your hearts to allow yourselves to be guided to the right paths and manifestations for you. We Love you so very much, and until our next contact we say: Treat yourselves and others with the same Love that you wish to be granted. It is the Golden Rule dear souls. This entry was posted in Article, channelings, reblog and tagged 14 December, 2011, channeling, channelings, Disclosure, Earth, ET, Mariara, Mariara The Pleiadian, spiritual, Spiritual evolution, Wes Annac. Bookmark the permalink.